If you’re in business suit, sterling silver necklace in simple style and slender pattern will fit. If you’re in casual wear, sterling silver ring in unique design and exaggerated shape must fit. Silver jewelry full of metropolitan breath of life, however, emanates charm of natural elegance by perfectly matching with slender shirt or plain colored sweater. Tibetan silver in intense personality color is not suitable for business suit, or else it’ll arouse the sense of lack of professionalism and capability. When attending luxurious occasion or wearing splendid attire, it’s unsuitable to wear silver jewelry any longer, instead, precious jewelry and diamond should be selected. 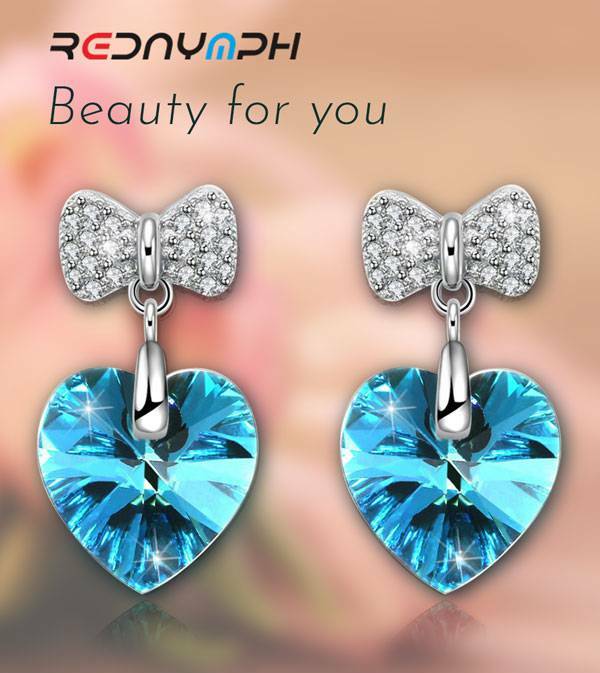 Silver jewelry inlaid with colored (Excluding black) artificial stones is especially suitable for young girls, which an older woman should not wear for acting younger than her actual age, or for fear of turning a man into womanish. It’s unnecessary to clean worn and darkened silver jewelry before wearing it again, which is a kind of style having nostalgic taste. Silver jewelry is a fad. Keep in mind to change the style on a regular basis, to avoid wearing silver jewelry with obvious fashion element (Such as cross) out of season. It’s inadvisable to mix silver jewelry with gold jewelry, for both emit different temperament. However, wearing two styles of silver jewelry is okay, and which will take on a kind of rich texture. 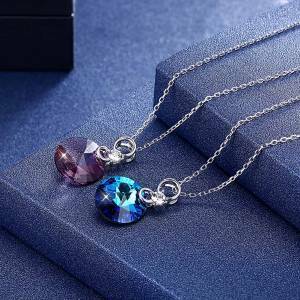 Mixing more than two types of silver jewelry, namely, attaching two pendants of different design styles onto the same necklace, will create a distinctive feeling. Experiment with contrasting lengths, shapes, textures and colours to make appealing layers with rings, necklaces, bangles and even in some cases earrings. If you’re layering necklaces then go for different lengths to draw the eye up to your face. Different shapes, colours and textures will often work a treat. For bangles and bracelets you can pretty much create an arm party of different pieces which will flash and jangle as you move. Rings can be mixed, matched and stacked in all sorts of interesting combinations. If you’re drawing attention to your face and neckline with layered necklaces or a statement jewellery piece, perhaps you don’t need an armful of bangles to compete for attention. Or if you’re wearing a bold pair of earrings perhaps your necklace could be more subtle or not there at all (on the other hand, a bold pair of earrings with a matching necklace can sometimes work beautifully). Before you start dressing have a think about what you most want to wear to wherever you’re going. You might decide you really want to wear a specific piece of jewellery to an outing, in which case you should choose your clothing and other accessories to work with it. Otherwise you might pick the outfit first and then match the jewellery and accessories to it. Either way works and if you’ve spent some time getting the combination right you should look stylish and well put together. If you’re wearing jewellery that’s intended catch the eye, then it’s usually best to make the visual focus on one body area which you want to draw attention to: neck, ears, hands, etc..
For instance, if you’re wearing a bold necklace, then go for more subtle rings and earrings. Or you might even consider leaving them out altogether.